Q: When the Rambam writes about the "Golden Mean" (Hilchot De'ot, Chapter 2. Shemoneh Perakim, Chapter 2. Commentary on Pirkei Avot 4:4), is it identical to what Aristotle wrote or an expansion of it? A: Aristotle is not the Rambam's source, the Torah is the source. The Rambam, however, does employ some of Aristotle's terminology. There are also some of Aristotle's thoughts on this matter with which the Rambam disagrees. See starting from Shemoneh Perakim, Chapter 5. Q: Why are the majority of observant Jews Charedi and not Religious-Zionists? Q: Why are the majority of Religious-Zionists lax in observing Mitzvot? Q: Then what should we do? A: Fulfill the entire Torah. Q: Is it true that Aristotle repented at the end of his life? A: No. There is no reliable source for this. Q: At the end of the year in High School, is it permissible to give a holy Sefer to the students when there are few Arabs in the class? After all, it is forbidden for non-Jews to learn Torah. A: It is permissible since there is a doubt whether they will learn it. And there is no other way to give the book to the Jewish child (Ha-Rav Pinchas Teitz, who served as Rabbi of Elizabeth, NJ, used similar reasoning to permit broadcasting Daf Yomi on the radio in Amercia. 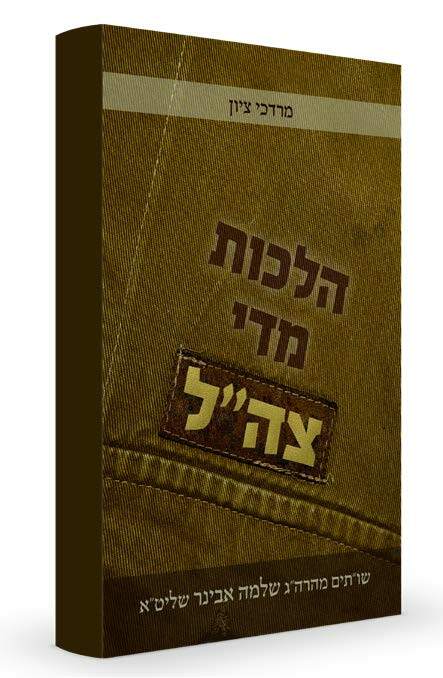 'Ha-Pardes' Journal - Tammuz 5714 - journal #10). Q: Is there an obligation of honoring one's parents by staying with them on the holidays? It is very difficult for my wife. A: There is no such obligation unless one's parents are sick or in need of help. Q: Should I tear my shirt if I see the Yishuv of Amona which was destroyed? A: No, since it is still under Israeli control. Shulchan Aruch, Orach Chaim 581:1 and Mishnah Berurah there. Q: I am a high school student. Is it permissible for me to drink coffee in the teachers' room? After all, my parents pay for me to learn there. A: Certainly not. They pay for what the school agrees to give you. Q: At the Chupah, the bride prefers white wine in case it spills on her dress, but the groom prefers red wine symbolizing the covenant (Brit) being formed. What should they do? A: The bride's reasoning is clear and stronger than a symbol. Q: Is there an obligation for one to wear all white clothing on Shabbat, as the Arizal says? A: This is not our level but rather the level of supreme Tzadikim, and it "Yehura" - religious arrogance" to do so. Biur Halahah (#262 d.h. Begadim). Ruach Chaim of Ha-Rav Chaiam Palagi. Piskei Teshuvot (#262 note #27). Wearing a white shirt is not "Yehura" and this is the custom. Question: I have heard that Ha-Rav said that it is forbidden to say "May his name be blotted out" for an evil Jew, even if he opposes the Nation and Land of Israel. Is this correct? Answer: One must certainly fight against such ideas, but this does not mean that it is permissible to say "May his name and memory be blotted out." I did not invent this. It is said in the name of the Sochachover Rebbe, the author of "Avnei Nezer." The proof is quite simple. If a man dies childless, his wife must marry the brother of her deceased husband. This is called "Yibum." The Torah says that the reason for "Yibum" is so that "his name is not erased from Israel" (Devarim 25:6). But what should I care if his (the evil Jew's) name is erased? If I say "may his name and memory be blotted out," what is the problem if his name is erased from Israel? There is no halachah, however, which eliminates the need to perform "Yibum" for a sinning Jew (Shulchan Aruch, Even Ha-Ezer 157:3). This therefore means that I must be concerned that his name not be erased from Israel. It is true that he is a sinner, but there is a solution: He can repent. This is based on what Beruriah said to Rabbi Meir in the Gemara in Berachot (10a). Rabbi Meir had evil neighbors who had caused him much distress, and he prayed that they should die. His wife said: "Doesn't it say in Tehillim (104:35), 'Let sins cease and let the wicked be no more.' It does not say 'Let sinners cease,' but 'Let sins cease.' You should pray that they repent, not that they die." In fact, he prayed for them to repent, and they did. Therefore, we should not say "may their names and memories be blotted out," but we should pray for them to repent. You will not find a section on the laws of army uniforms in the Shulchan Aruch. Classical texts of Jewish law do not discuss proper treatment of army uniforms for a simple reason: while Jews served in the armies of many countries, they did not serve in their own army since the times of Bar Kochba. After nearly 2,000 years, that changed with the establishment of the State of Israel. Does halachah reflect that change? Rabbi Mordechai Tzion (formerly Friedfertig) translates, edits and publishes the teachings of Rabbi Shlomo Aviner. In this short book, Rabbi Tzion arranges Rabbi Aviner’s rulings regarding IDF uniforms according to the order of the Shulchan Aruch. Following the list of rulings are questions posed to Rabbi Aviner and his answers, along with Rabbi Tzion’s expansions and citations of contemporary responsa. Rabbi Aviner is famous for his breadth of knowledge, love of Israel and fearless pursuit of religious ideals. 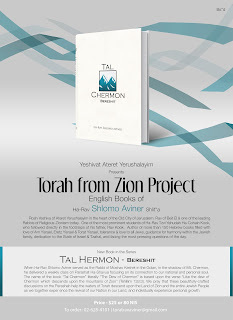 Rabbi Tzion’s remarkable mastery of contemporary halachic literature adds color and context to Rabbi Aviner’s answers and great treasures for researchers. Issues range from the religious significance of IDF uniforms to proper attire for prayer to preferred dress for Shabbat. Can a soldier pray in his uniform? Does a soldier say the Shehecheyanu blessing on receiving a new uniform? May a soldier in mourning rip his uniform at a family member’s funeral? According to Rabbi Aviner, yes, yes and yes, with extended explanation by Rabbi Tzion. State and a helpful guide to religious IDF soldiers. 2. Even if it moves a little to the side, one still fulfills his obligation. 3. One should not be involed in other activities in the middle of the Shemoneh Esrei. Q: Our 18-year-old son is distant from Torah and returned home with an earring. As his mother, do I need to tell him that he should not return home until he removes the earring? A: Your son is worth more than a text message. If you want, you may call my wife. In general, issues such as these are not solved through coercion but through trust. Q: A first-born goat was born on our Yishuv. Before it was born a partnership was not made with a non-Jew. While it is forbidden by Halachah to cause the animal to have a blemish, the laws of the State of Israel require one to make a hole in the animal's ear and place a number in it. Does this count as a blemish to permit the animal? A: 1. Placing a number in the ear is only a small hole. One needs a significant blemish to permit the first-born. 2. I have not lived on a Kibbutz for nearly 40 years, so you should ask the Rav of a Kibbutz or a Moshav who answers such questions all the time (It once happened with Ha-Rav Reuven Ha-Cohain Katz, when he served as the Rav of Petach Tikvah, that there was a knock on the door of his house and when he opened it, he saw a goat tied to the door with a silver sign engraved: "A present for a Cohain, a first-born, for the honorable Chief Rabbi". Rav Katz was unable to figure out what to do with the goat, so he rented a field in the courtyard of Yeshivat Lomza in Petach Tikvah, and care for the goat for a few years until the goat died. Ha-Rav Ovadiah Yosef related his story. And see the book "Ma'aseh Ish" [volume 7, pp. 68-69] that in the Yishuv Bnei Re'em, where Ha-Rav Nachman Kahane of Spinka was serving as the Rav, a first-born animal was born and the owner forgot to make a partnership with a non-Jew. Rav Kahane traveled to Yerushalayim to asked Gedolei Yerushalayim for all the details relating to the issue. He met Ha-Rav Amram Blau, who told him to go to Bnei Brak and ask the Chazon Ish, who was not yet well-known. The Chazon Ish wrote him 28 Halachot explaining all of the details). Q: Is there a problem to learn Torah with a divorced Rabbi? A: No. If he is a good person. And one should not learn Torah with a married Rabbi if he is not a good person. Q: Is there are obligation to give a child a name from the Tanach? A: No. After all there is Rabbi Akiva, Rabbi Meir and Rabbi Tarfon. But you should name him/her with a Jewish name and not a non-Jewish name. Q: Maran Ha-Rav Kook and Rabbenu Ha-Rav Tzvi Yehudah forbid ascending to the Temple Mount. When will it be permissible for all of Am Yisrael to ascend? A: In order to build the Beit Ha-Mikdash. The spot is therefore called "The Temple Mount", the mountain of the Temple and not for another purpose. Q: There is a Native-American piece of jewelry called a dream catcher. Can one buy one? A: It is nonsense. The source is from Native-Americans and adopted by the New Age movement. Q: When guests come to visit my parents, do I have to sit and talk to them or can I go and learn Torah? A: Talk for a short time and then go and learn. Q: What can I do so I have a yearning to Daven? A: Read Mesilat Yesharim many times.